St Paul in 1st Corinthians tells us, though not in the readings today: “And if Christ has not been raised, our preaching is useless and so is your faith.” Those are pretty strong words and certainly in Paul’s eyes make the Resurrection of Jesus one of, if not ‘the’ most important event in church history, and indeed in the history of the world. 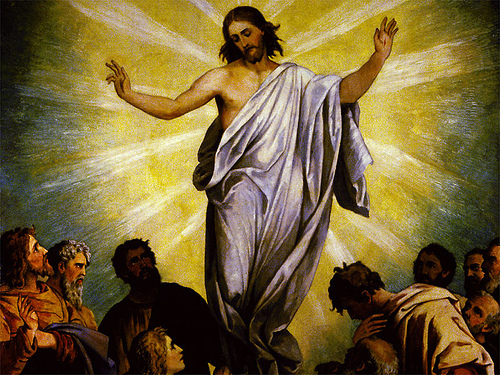 The resurrection is also the one thing that many people find difficult if not impossible to believe – it is a terrible stumbling block especially in this scientific age where we need to have proof before belief. Paul also uses the image of yeast but we have to understand that yeast was not really a good thing for Jews. Yeast was a fungus, and for bread to be pure, it needed to be unleavened. That is why in the Passover feast the bread was unleavened by order of God, and even why we use unleavened bread at Mass (though often what we use looks more like a potato chip that what we are used to as ‘bread’. So in the image Paul uses today, we are to throw out the old bread that has the yeast fungus which in Paul’s metaphor means wickedness and bad intentions, and celebrate with pure, unleavened bread, Paul’s metaphor for sincerity and truth. The facts of the Resurrection as we know them are contained in Paul’s letters and in some of the Gospels, and particularly in the Acs of the Apostles by Luke. Our first reading today is a news report of sorts, with the eye witnesses telling us that God raised Jesus from the dead and that he was seen by a chosen few after the Resurrection event and that they even ate and drank with him. The eye witness reports were obviously important in pleading their case for this very unnatural event. When we get to John’s Gospel today, we read a description that was written some forty to fifty years after the event, and has been influenced by the original witnesses surely, but also the stories that built up around Jesus in those fifty years. In that period of time and with communities in different locations it is no wonder that a few of the ‘facts’ differ int he Resurrection accounts, but they are still remarkably similar. In John’s account it was Mary Magdalene that got up very early, before light even, and went to the tomb. She saw that the stone blocking the entrance had been removed. She must have peeked in because she ran immediately to Peter and another disciple and told him the tomb was empty and the body had likely been moved or stolen. 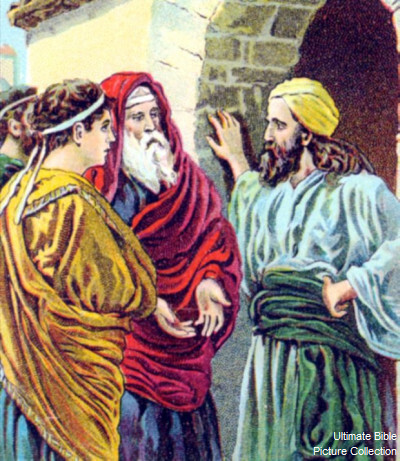 The two men she told ran to the tomb, the younger getting there first, but in deference to Peter he did not go in, but merely looked inside from the door. What he saw were the white linens in which Jesus’ body had been wrapped still lying there. When Peter came and they both went in, the also found that someone had taken the time to fold the linen that had been on Jesus’ head. Apparently, however, they still never thought about Jesus being resurrected, even though they had been told by Jesus that he would rise again, and that Scriptures had foretold this as well. The two men went home but Mary Magdalene, upset that she didn’t know where the body was so that she could mourn, stayed at the tomb and cried. Someone came to her – it may still have been dark even – and asked why she was crying. She turned to the man and told him why but didn’t recognize Jesus. She thought he might be the gardener and would know where they took the body. When the stranger called out her name, she immediately recognized Jesus, and apparently fell on her knees and wrapped herself around Jesus legs. Jesus asks her not to hold on to him. It seems that the resurrected body is somewhat different from the ordinary body, and we will explore this fact over the next few weeks as we see that people sometimes do not recognize him, that he can come and go at will, even through walls, and can move great distances. Yet, at the same time he can be touched, he can eat and drink, and he has still the wounds from his crucifixion. It is also interesting to me that the person he first shows himself to is a woman, and that she is the messenger to bring the Good News to the apostles, just as Mary, Jesus’ mother, is the first to answer Gabriel’s message and feel the child in her womb, and brought the Good News into the world. It is clear to me that women are the bookends that hold the story of Jesus together. This day is the day we have been preparing for for 40 days. After a fast, food tastes especially good. If you have done things to prepare yourself, this day should especially feel good for you as well. It is our yearly reminder of one of the most important events in the life of Jesus and the church, and foreshadows our own resurrections from the dead. The Sequence today summarizes what should be our feelings beautifully: Share the Good News, sing joyfully: His death is victory… Christ the Lamb has saved the sheep! This is the Good News that we all share in today! Rejoice and be glad! After reading the Passion, it is very difficult for a homilist to add to the account of Jesus’s passion, death and resurrection. The whole concept of what he endured would seem foreign to us today for the most part. The founders of our country forbade in our constitution cruel and unusual punishment. Torture, whipping, extreme cruelty and to a degree death are forbidden. In Roman times, these were seen as ways to control unruly masses of people to make them fear a nation of conquerors, namely the Romans. Their execution by crucifixion was meant to be bloody, painful and a slow dragged out process, sometimes taking days. It is one of the reasons Rome was able to rule for so long. In today’s world punishment is not supposed to be the ideal, but rehabilitation is what our prisons are called to do. The death penalty is not really common and is now carried out in the US in a sterilized non threatening, non suffering way. Strangely, we carry it out like we are doing a kindness in making it easy for the condemned and our conscience by anesthetizing the person to sleep. That aside, Suffering and death is something foreign to us. Yet God chose to use the darkest side of humanity’s barbarity to extend his forgiveness and love through his very own Son. No one can miss the singular act of a Father giving his son to make whole what is broken. We heard today the account of Jesus following out the will of his Father, even feeling reluctant as any of us would be, but in the end He said “Your will be done”. So today, let us reflect that Christ freely gave himself to be taken and condemned by the Jews, sentenced by Pilate and scourged and crucified. 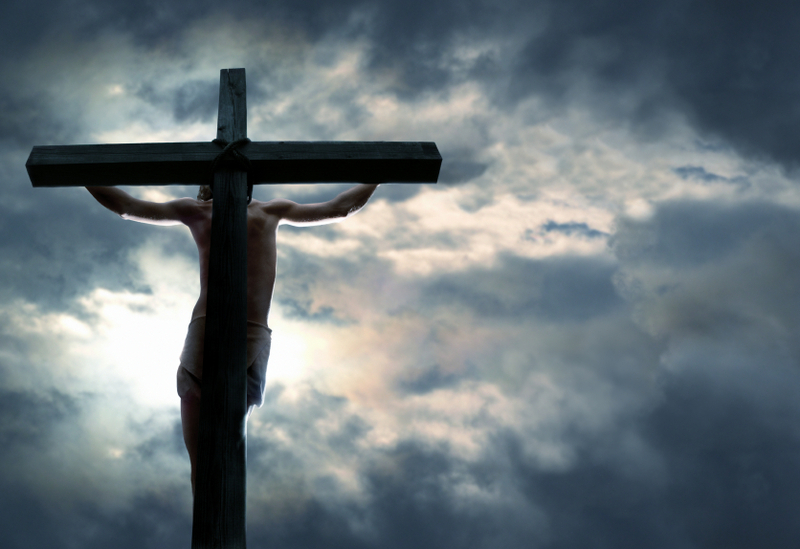 This was a giving of himself for all time, for all men and women, for reparation of all sins against God for all time. When we fail, fall short remember to ask Please forgive me. Today’s readings really speak for themselves and touch different parts of each of us, so I will keep this short and briefly say how they affect me. One of the most difficult things to reconcile in our minds and that has given rise to all sorts of ideas and heresies over the century is the combination of divinity and humanity in Jesus. Of course, it is a mystery and impossible to totally understand but that hasn’t stopped us from trying to. One of the questions that our reading of the Passion today brings up is the question did Jesus know that he was going to rise from the dead? It seems to me that if he did, it would make less tragic the event of his death and even ameliorate the depth of suffering he endured. If we knew we had to go through something physical terrible and painful but that it would mean we would be perfectly cured or fine afterwards, it would be easier to go through, wouldn’t it? So I don’t think, as a human, that Jesus knew he would be resurrected although his faith in God never wavered. Isaiah description of the suffering servant we read today ends with the line “I know that I shall not be put to shame”. That is Jesus’ hope and trust in in God! And yet, in the Psalm today we also hear the words spoken by Jesus on the cross as well: “My God, my God, why have you forsaken me?” Does’t this indicate that Jesus lost hope in God. In the least it proves to me that he did not know of his resurrection. But I don’t think that this was a loss of hope in God for Jesus. I think it was Jesus feeling the weight of everything he had been asked to do, perhaps even feeling our continual abandonment of him even after his death. He was giving up his life for a people that haven’t accepted him and still after two thousand years have not fully accepted him or his message. The weight of this is on him at that moment, questioning, as he submits, whether he has given himself up freely for a people who abandon him. In our lowest depths of depression, we too can feel that the whole world is against us and that we have accomplished nothing in our lives. We may even blame God or feel that God has forsaken us. Perhaps that is the point that people get to in order to kill themselves. But Jesus never lost faith in God – but his humanity was very strong in that final moment of being human – his death. In our own lives we need to constantly remember that there is something beyond death, something that will help us to get through the lower depths of life and our own deaths. The final result of each of our deaths if we have been true to God is what Paul says in the second reading today of Jesus: “Therefore God highly exalted him.” We will never be as highly exalted as Jesus, of course – “the name that is beyond every name” – but because of Jesus death for us, we too can be glorified. That is the glory of the cross. That is what we celebrate today! And that is the Good News I want you keep in your hearts, especially when things go bad. The time for a new covenant is at hand. Today we see some Greeks want to see or talk to Jesus who had thus far limited his ministry to the Jews in Israel. His response is to compare himself to a grain of wheat, a small seemingly insignificant item easily missed until it falls to the ground and dies(is planted). In dying, it begins to grow spreading out roots and pushing up to the surface and producing much fruit. 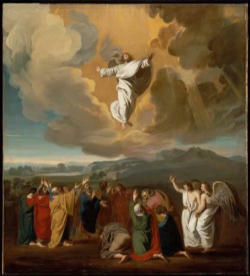 Here in John’s gospel, Jesus is foretelling his death, that he must die and that he must be lifted up. This is why he was born and why he is present to them. But only in being lifted up will he draw all things to himself. Christ knew the death he would die and that it was inevitable, but like the grain of wheat, fruit or blossoms would only come after death. In today’s world, we honor similar martyrdom in war and even in everyday life. Nothing is more poignant than to see and hear the valor and often the sacrifice of a medal of honor winner. A risk or possibly even the giving up of life so others might live. We honor people who will stand and sacrifice possibly their life for a principle or their faith or religion. In the last hundred years, humanity has seen fit to continually wage war or fighting in some form almost if not in every one of these years. Slavery, abuse, suffering are still not eradicated from the plant earth. This doesn’t touch on the people of the world who go hungry. Yet, Christ has died and he does draw all to himself. 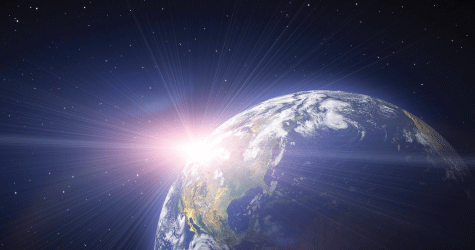 His message has yet to be universally spread to all the ends of the earth. In some places his message is obscured because we have westernized it or made it too comfortable to our own time and place. His message was one to draw all to him, to believe and to follow, to worship in his name. Simply, does the grandeur of Christianity today that we see in the so-called first world, fit in out in the highways and byways of the third world and beyond? He died for them too, but how do we reach out and adapt to their understanding. His embrace is of all, his Spirit goes out to all. We must be open and not preconceive or put boundaries on what the Spirit can do. Remember Christ was lifted up not once simply on the cross but also in the triumph of the resurrection. The reading from Jeremiah today is one of the most beautiful and inspiring in the Scriptures. God is speaking through Jeremiah the prophet and is explaining to the Hebrew people the difference between the Old and the New Covenant to come. In the beginning Israel was treated as a child and God acted as a disciplining but loving Father. Things were very black and white – do this and don’t this. But as the Hebrews advanced in their knowledge and understanding of God, God became more of a husband, but in the early sense of husband, not in our understanding of the term today. Today we see husband and wife as equal, but when this was written the husband was totally in charge and the wife was a piece of property which the husband often came to love, but was not equal to the husband. It is in this sense that the second phase of God’s relationship with the Hebrews took form. God says he was like a spouse to the Hebrews. God was the protector that took them by the hand and led them from the slavery of Egypt to the freedom of the promised Land. He expected their faithfulness, their love, their gratitude, their service, just as a husband in those days would. But, God says, there is to be a new adult way in their relationship in the near future. In the new Covenant there will be complete knowledge of each other and the relationship will be based on love and equity. God will not remember how they failed in the past, but all will be forgiven, and all shall be one with God. So what we see God describing is the movement from a childish understanding to a mature understanding of the relationship between God and people. The maturation process which hopefully all of us will go through in our own lives is reflected here as well. The Psalm picks up on the forgiveness in its prayer to ask God to blot out our transgressions and wash us from our sins. This too is part of the news covenant as the waters of baptism do just that which their prayer is asking. The psalmist also asks “Put a new and right spirit within me “, and again that is part of the promise of the New Covenant that God talks about today. With that new spirit and having been saved, the psalmist goes on to say that we show our gratitude by helping others to know God and getting sinners to return to God. The Gospel reading today from John sets up the way in which the New Covenant will be made to happen. Greek speaking Jews come to Philip, probably because he could speak Greek and ask to speak to Jesus. They are probably there to ask him to widen his ministry and perhaps even go to Greece, but Jesus realizes that his time is coming to an end. Jesus seems to understand from all that is happening that his death is imminent. Jesus feels that the chance for expansion is over but that his death will bring an even greater thing to there world. He knows that this will upset the disciples who are still expecting some sort of hero riding in on a white horse to save them from the Romans. He uses a nature metaphor to help them understand that his death will be much like that in nature. 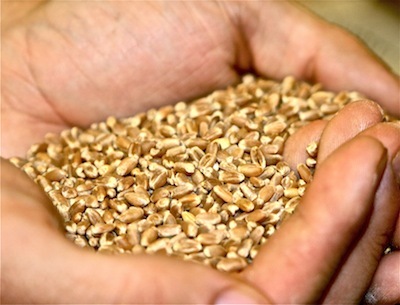 A grain of wheat has to die and fall into the earth if it is to be reborn in the Spring. That is how seeds work. Then Jesus says, as he does in two other Gospels, that those who love their life lose it. In the other two Gospels the reference is to us but in John, I think Jesus is referring to himself and the inevitable about to happen. John does not have an agony in the garden scene, but uses some of the lines from other Gospel accounts. Note how here when Jesus says “Now my soul is troubled. And what should I say – “Father, save me from this hour”? No it is for this reason that I have come to this hour”, note how much this is similar to the Agony in the Garden accounts. John, however, uses it as a help to explain why Jesus is able to accept the inevitable as part of God’s plan. When God’s voice breaks through as it did at the Baptism and the transfiguration in other Gospels, we are being told that this is in effect the seal of approval on what Jesus is going through and the end result will be one of glorification and Jesus will be held up as light to all the world, not just to the Hebrews, so that Jesus, with his new understanding can see that he will be lifted up from the earth, and “draw all peoples to [him]self”. This is the last week before Passion Week. We are almost at the end of our Lenten repentance. The events that are set in motion next week as described by the four evangelists illustrate exactly how this happens and how our salvation comes to be. I hope that you will plan to participate in all of the ceremonies of Holy Week. We will again have the triumphant walk of Palm Sunday, our traditional Passover meal on Thursday, our remembrance of Christ’s death on Friday and the most important liturgy of the year on Saturday night where we are reminded of the whole journey of salvation from Adam and Eve to the Resurrection of Jesus. It is a big commitment of time, I know, but one that will be well worth the effort as we too come to a mature understanding of what all this mean to us as we journey through this life to death and our final victory with Jesus. And that is the Good News of hope I want to deliver today! 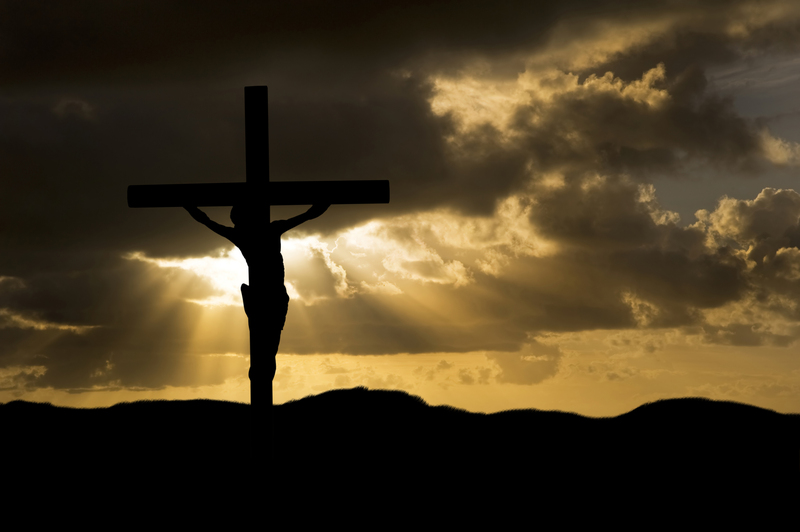 As we continue towards easter, our readings again look at the harder and darker times in Jewish history and of Jesus being a light, being lifted up both on a cross at a very dark moment and ultimately his resurrection. First we see Israel’s punishment for falling into darkness and evil by ignoring God’s word and prophets. They are dragged off to Babylon. Their time there was even longer than before their return from Egypt and their forty years in the desert. This time it was seventy years, a length of time that very few would survive to return home. 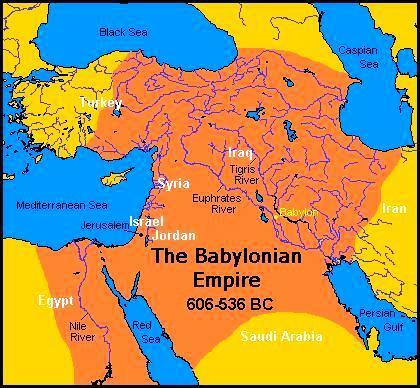 But while God turned and allowed the Babylonians to prevail, it was the Israelites who had turned away and took a different course than what the law and prophets asked. In John today we see one of the themes is Jesus as light of the world. We see Nicodemus come to Jesus in the darkness of the night. It is interesting because Nicodemus became a believer but for a long time a secret fearful believer, hiding his faith from the Jews. Yet his secret wasn’t evil but simply embarrassing to him or to his professional life. Even today, I think many of us are motivated by what others think and do and are fearful like Nicodemus to shine the light on their actions and plans. If you consider it, such considerations make it easy for all kind of behind the scenes activities and sometimes bad and evil things come into our lives and society. It seem to be almost inherent in our nature that we are afraid of what others might see and find out, yet we pursue what we want in the dark or under the radar where people can’t see and judge. Look at the difficulties of the so-called sunshine laws today. Certainly privacy is an issue, but when does our privacy impugn another person? Christ is the light and in him there should be no fear, no gossip, no retribution for faithful actions and beliefs. When we retreat into darkness, what do we fear? Jesus came to dispel that fear with the light of his word, and by being lifted up, dying that all might live rising and once again lifted up for all. He was born and grew up and lived among us. He felt all the passions and joys of life as well as anxieties and suffering and death. What could have been worse than the darkness of that night in Gethsemane, knowing and facing what was the inevitable end of his life? Yet through it all, he remained faithful, a light, a way for others to see and follow. His strength and death even brought Nicodemus to the fore to claim his body for burial. Such a light dispelling the darkness around us, confounds and challenges those around us, often in a positive way, other times making them strike out in ways we do not fathom or understand. Yet with Jesus our light, our love, our faith, we should always be ready to reach out and embrace even those who wish us evil things. This is how we become a people of light, of love, shining Christ’s love in every corner of humanity. In Jesus time, the day was the time for work, the time of light and seeing clearly. The night was dark and a time to refresh and stay still. What was out and beyond the home was unknown and questionable and not seeable. Remember we only have two centuries or so that we have electricity to somewhat dispel the darkness. What we can’t forget is that the darkness of evil is still around and Jesus is the light that dispels that darkness. As a people of light we should always try to stay in the light.